Artist Emily Garcia brings us this charming Christmas canvas. 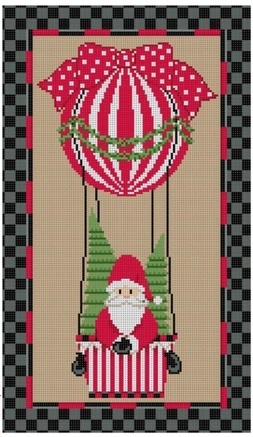 It’s so fun to find a Santa canvas that is a little bit different than the other ones we see every day. How often do you see Santa hot air ballooning?? View this canvas on our website. And click here to see the rest of the trunk show!